There are two main differences in this approach. 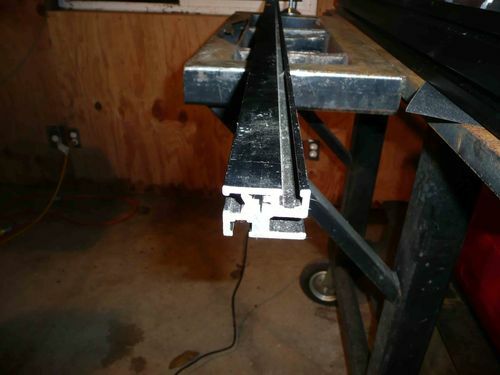 The first is using an aluminum extrusion as the main means of mounting the DRO to the planer. 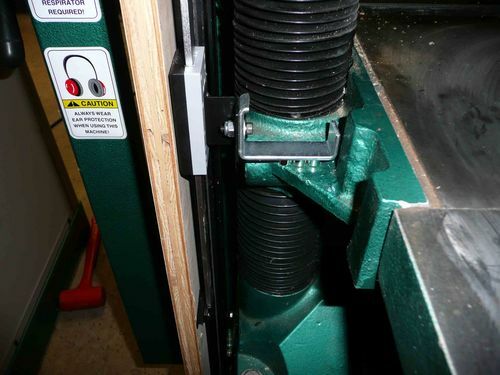 The extrusion used is 1” x 1.5” cross-section with bolt head slots on 3 sides. A 4’ length (twice what was needed) of this cost $8. 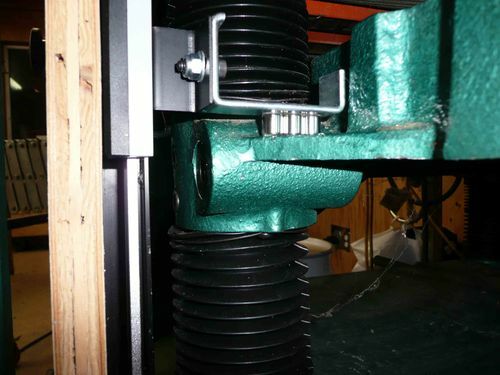 Similar extrusion profiles that take t-bolts are readily available on the internet. I found this piece at a local salvage place. 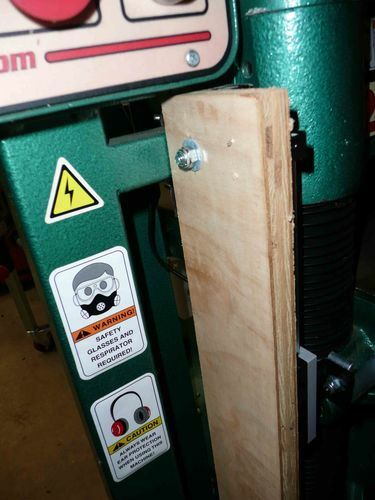 mounted to the plywood using wood screws and located such that it was exactly opposite the interface on the planer table. This is a little hard to describe so I will let the following photos (hopefully) do most of the explaining. 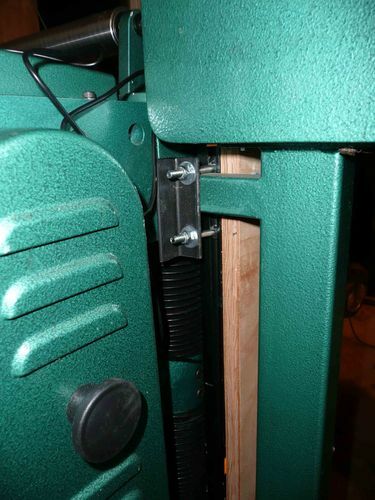 The second major different in this approach was the use of 3 small strong (N52) neodymium magnets to attach the planer table bracket to the planer. These magnets are readily available on EBay and other sites and cost $1 a piece. Again I am hoping a few photos will make this clear. Nice mounting technique. 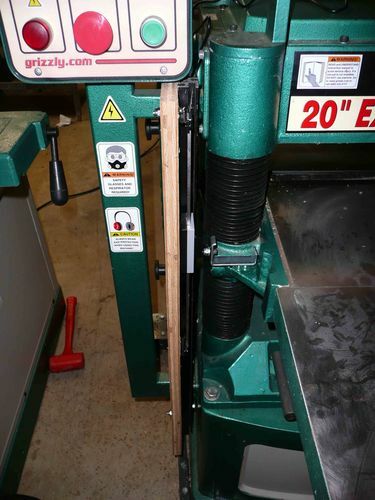 I will favorite it for ideas when I upgrade my planer. How do you like your 20” Grizzly? I am thinking of buying the 15” spiral Grizzly. I wish I could afford the price and space for a 20”. 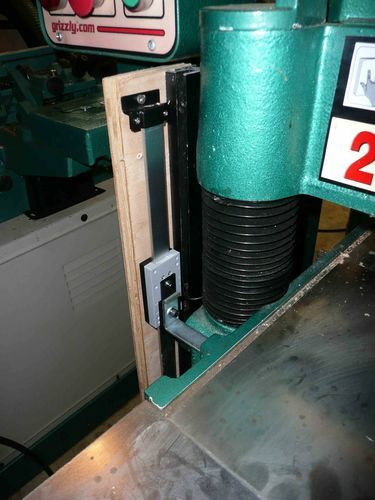 I have iGaging DROs on my Grizzly benchtop metal working lathe and think they work great. Your mount looks solid and well thought out.